Climate control and the air-conditioning of cabins, containers and tents. Mobile ammunition temperature conditioning trucks and trailers. Mobile clean room / surgical tent system. Electronics and radar cooling systems. Specialist climatic test chambers and rooms. As well as a standard range of products, Weiss are happy to work with our customers to design and build bespoke systems to a specific requirement. A capable post-sales service ensures optimal care for our customers and our systems. 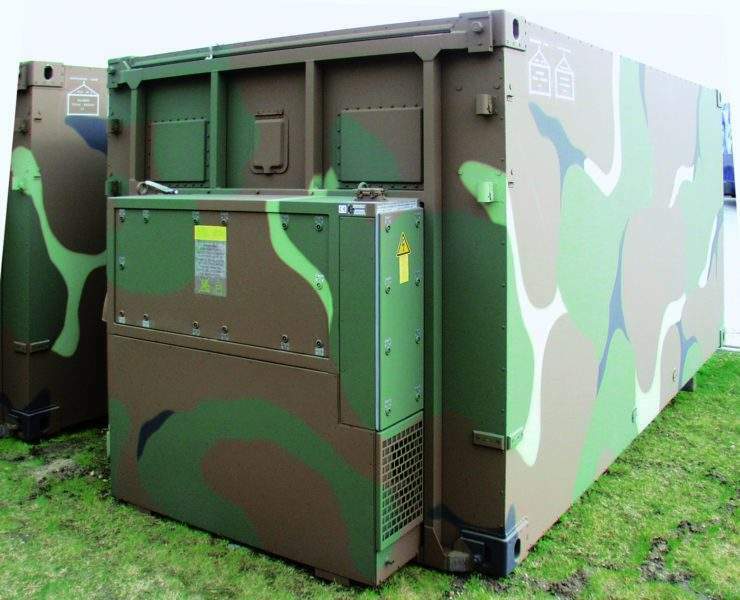 Weiss’ mobile air-conditioning systems are essential equipment for military and disaster prevention sectors. Compact, indestructible, reliable and simple to operate, our air-conditioning units are particularly useful in situations necessary to combat extreme climatic conditions. The systems and their individual parts are furnished with NATO stock numbers (NSN) and in many cases have special technical documentation. An all new modular air-conditioning system, ‘Module R’, offers a versatile, customisable system suitable for tents / shelters and containers. Using a modular design allows easier service, and future upgrades, commonality of control and operation and reduces the amount of spare parts and documentation required. The Module R range is extremely compact and robust, designed for extreme operational conditions between -40°C to 55°C and complies with Mil Std 810G and 461E. Utilising the Weiss Defence Control unit, multiple units can be linked and controlled from one control panel. 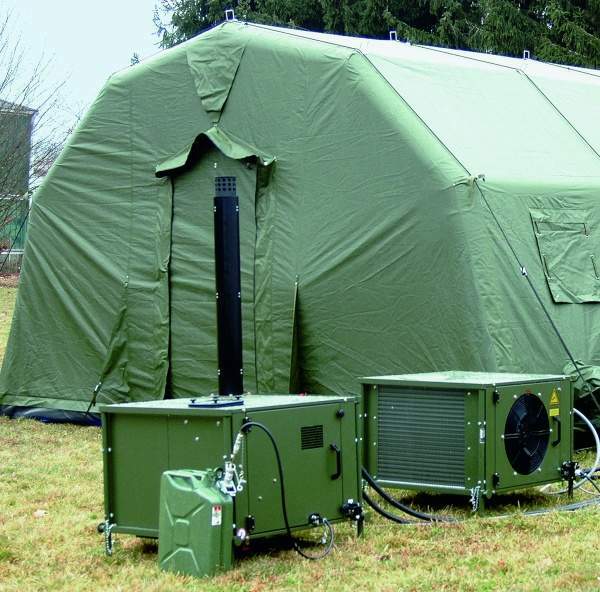 Other Weiss’ tent air-conditioning units suitable for military use include type ZKB 10/6 MFA and the 15/10 MFA (split AC system). The systems are available in a condenser and evaporator module and can be installed as a complete system (all modules outside the tent) or a split-system (evaporator module inside the tent). The units can operate sufficiently as an air-recirculation system for use in adverse environments. 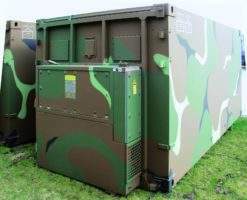 All units are easily transportable with a compact construction and integrated frames for military camps that are always on the move. They are easy to maintain and have easily removable covers to access the system. The system integrates a fully hermetic refrigerant circuit with a scroll compressor and an airflow section with a filter, cooler and supply fan. The units have a cooling / heating (electrical) option. There is a separate heating module available, which can be used as a fuel heater (diesel) with a complete water-glycol circuit and pump. The shelter air-conditioning system used in a machine room would be type TKA K51W-A7. Design features include a shell made of aluminium, electromagnetic compatibility, modular construction for easy exchanging of components, vibration and shock-resistant system, easy installation and operation, service-friendly air-distribution system, and solid-borne sound transmission. The type TKA K13W-B air-conditioning system is similar to type A as they are matched for outside installation for communications cabins. Design features include a different power supply to type A, heating and cooling power and an aluminium shell frame. The hygiene air-conditioning system serves as the climate control for the operating room integrated into a container. A climate that conforms to the climate control and hygienic requirements of DIN 1946 pt 4 is maintained in the interior. The frame is made of welded aluminium profile pieces fitted onto a gas-tight, welded conditioning chamber. The unit includes a mounting system with buffer elements for minimising vibration and solid-borne sound transmission. It also has an air-distribution system with integrated particulate filters (HEPA). Weiss has expanded its proven series to include a new model with even more effective air-conditioning performance and a split air-conditioning system with a condenser module outside. Ministries of defence, military test centres and ammunition manufacturers often have a need to test material at various temperatures but have no means of doing this at a firing point. Weiss have utilised their experience of climate control test systems and made them mobile. 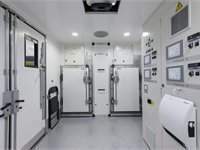 Using an insulated box body construction for trucks or trailers, we can offer a tailor-made, explosion proof conditioning system that is mobile. Systems can contain an individual condition space for larger material or multiple individual test spaces for smaller ammunitions types. Weiss have delivered numerous truck and trailer systems designed to individual sizes and performance criteria. New mobile clean room surgical tent system OP-RC 1a - Exhibited at the 20th International Defence Industry Exhibition, 3-6 September 2012 in Kielce, Poland. 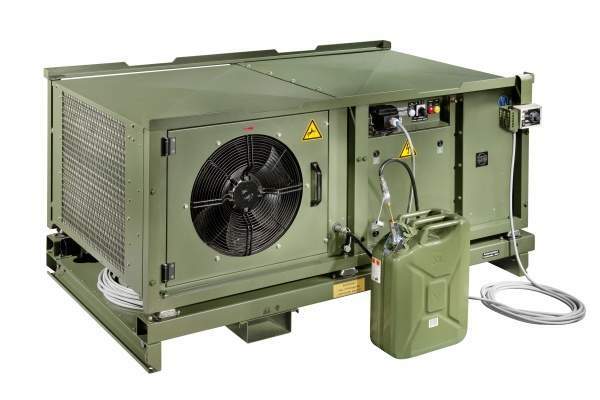 The Weiss Module-R system consists of a compact evaporator, condenser module and weiss control unit that can be configured in order to obtain a full range of air conditioning needs for military tents and containers. Weiss tent air-conditioning units are suitable for the most diverse applications. They are developed specifically for use in functional tents and shelters and for individual accommodation. 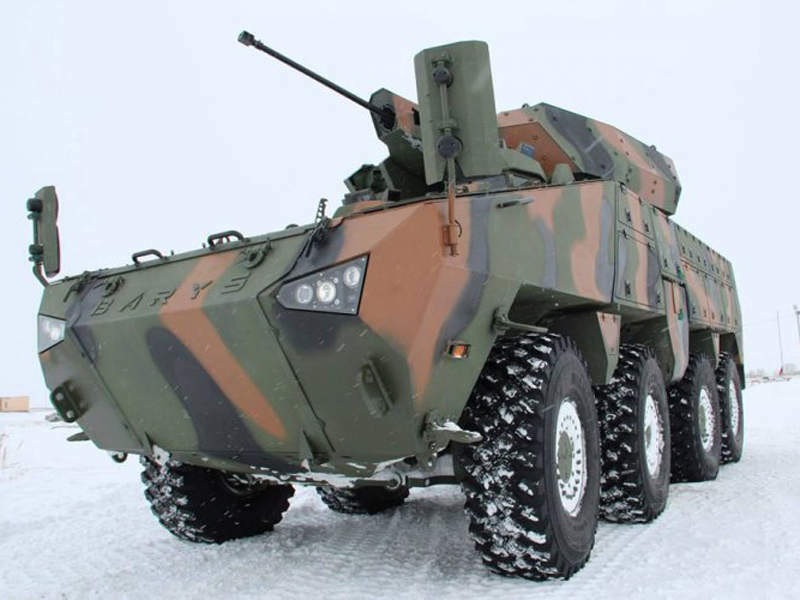 The Barys 8x8 armoured wheeled vehicle (AWC) is the latest offering from Kazakhstan Paramount Engineering (KPE), a joint venture of Paramount Group and Kazakhstan Engineering.